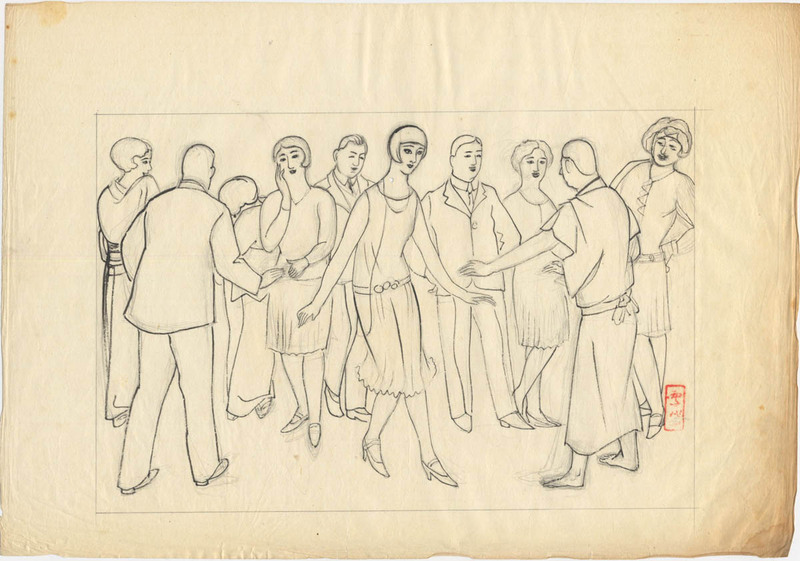 Subject: Three drawings: two portraits of ladies with moga hairstyle and a group of dancers in Western and Japanese dress. Size: Each drawing 39x24 cm. Medium: Ink drawing on paper. 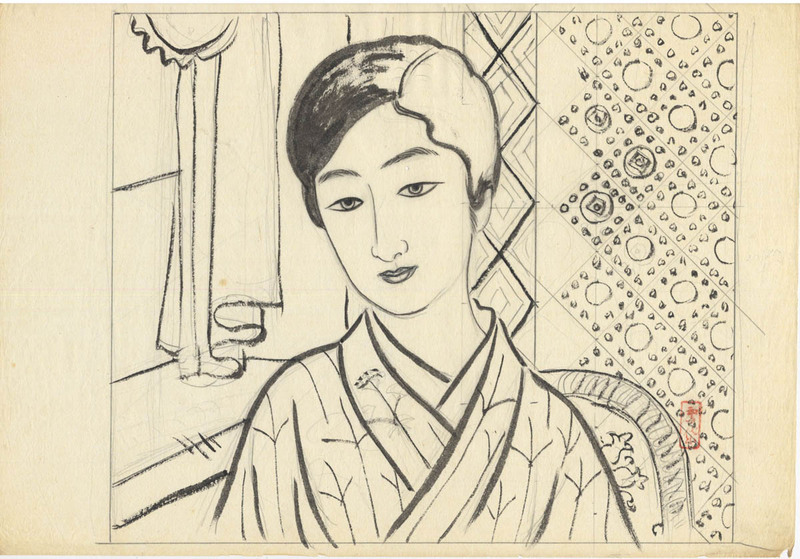 Remarks: Komura Settai was a painter, print designer and illustrator of books for famous writers of his time. 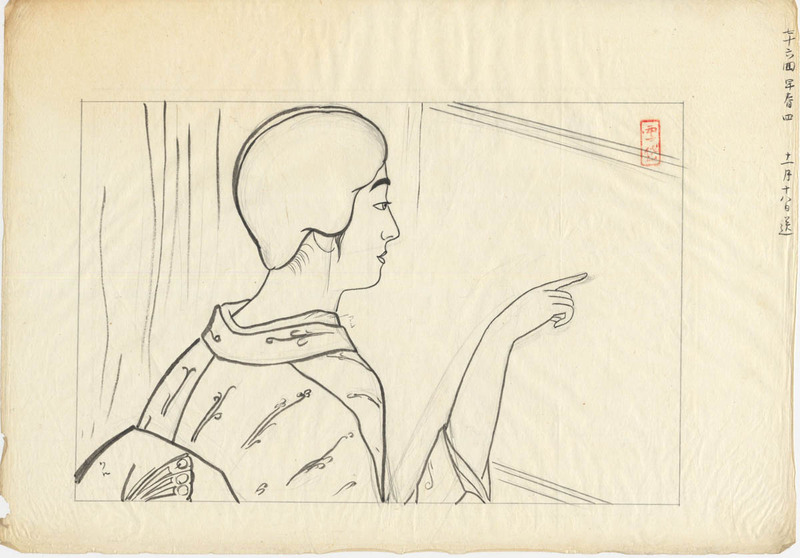 He was active as designer for the cosmetic firm Shiseido and made also some theatrical sets. Price: Euro 1200 for the group of three.